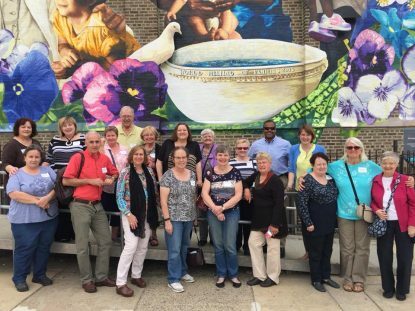 Philadelphia’s world-renowned murals are as inspirational as they are beautiful. Our guide, Maureen O’Connell, Associate Professor and Chair of the Religion and Theology Department at La Salle University, will reveal the sacred stories of struggle, yearning for justice, resilience and beauty behind some of these extraordinary public artworks. Sponsored by the Sisters of Mercy, Cranaleith Spiritual Center offers a contemplative space for all those seeking wholeness and transformation for themselves and society. We are committed to making Cranaleith accessible to all, especially to persons who are poor and those who work in solidarity with them.We seek to invite those at the center of need and those at the center of influence to reflection, reverent dialogue and meaningful partnerships.